After ushering in the new year in typical UAE style – with another epic, record-breaking fireworks display, of course – it looks like Dubai is kick-starting 2019 as flamboyantly as it means to go on. To get excited, you need look no further than the city’s ambitious plans for its sweeping shores and intricate islands. With a wave of on-the-water events, openings and announcements, there’s plenty to look forward to. As one of the Emirates’ most-anticipated additions, the city is abuzz with chit-chat about its newest neighbourhood, The Pointe at Palm Jumeirah. With leisure facilities spread across 1.4 million square feet, the district not only offers visitors a choice of dozens of restaurants and retail outlets, but boasts the best views of the iconic Atlantis The Palm. The hype was realised on its successful New Year’s Eve event, which was attended by more than 10,000 people – most of whom gathered on the 1.5km waterfront promenade to ring in the new year amidst some truly impressive fireworks. With one of the city’s greatest concert venues at its heart, it’s worth keeping an eye out for artist announcements, too. Enrique Iglesias has already played, but who’s next? Another new-year hot topic among residents and regular visitors is Dubai’s biggest waterborne undertaking since the construction of Palm Jumeirah. Bringing a blend of Maldives-style living and European culture to the city, The Heart of Europe has recently announced that 85 per cent of its second homes scheduled for Phase One of the project have now sold. The cluster of six man-made islands, located within the larger The World islands, claims to be pioneering the second home market in the UAE. Aiming to capture the character and culture of their European namesakes, islands are themed around the likes of Sweden, Switzerland and Germany – and are clearly proving very popular among the movers and shakers of the GCC. 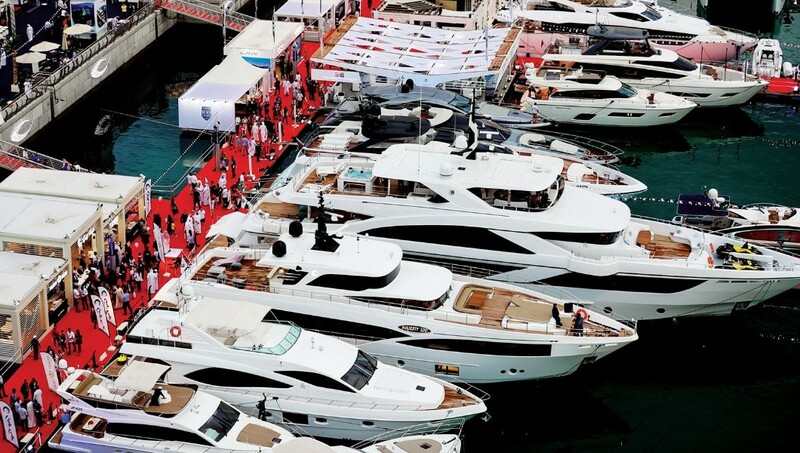 If you’re seeking a different kind of second home on the water, look no further than the Dubai International Boat Show, bringing the Emirates’ waterways to life yet again in early 2019. With highlights this year ranging from live diving and boat races to the exhibition’s signature megayacht tours and a newly designated sea-toys area, it’s a sea farer’s proverbial paradise. This year, the event is themed around the concept of “Let’s all live a little” and will cater to all sea-based hobbies, interests and professions, with a new emphasis on water sports and exploratory sea equipment. At a time when technology is keeping pace with conceptual innovation like never before, this certainly isn’t one to miss. The exhibition runs from February 26th until March 2nd 2019.